Originally open in 2012, in celebration of the Arthur M. Sackler Gallery's 25th anniversary, a selection from the Freer and Sackler's extraordinary collection of luxury metalwork from ancient Iran—an area extending from the eastern shores of the Mediterranean Sea to present-day Afghanistan—is on view. This display explores the artistic and technical characteristics of these objects. Featured are works ranging in shape from deep bowls and footed plates to elaborate drinking vessels ending in animal forms, known in Greek as rython, that are largely associated with court ceremonies and rituals. Others, decorated with such royal imagery as hunting or enthronement scenes, were probably intended as gifts to foreign and local dignitaries. 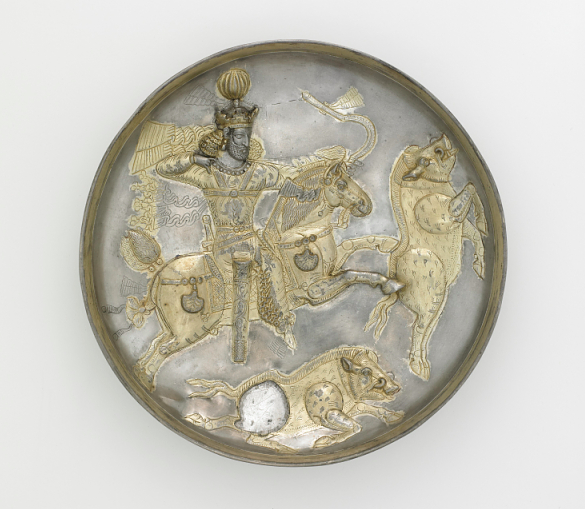 Depictions of kings and their royal attributes and pastimes helped define the power and identity of ancient Iranian royalty, whose rule continued well after the arrival of Islam in the 7th century.